HEALTHY TONGUE is incredibly important for a healthy mouth. We know we talk a lot about your teeth, but it’s time we told you more about your tongue, that amazing muscle that allows us to speak, taste, and swallow! There are three tools to choose from when it comes to cleaning your tongue: a tongue scraper, a tongue brush, or your toothbrush. Do it daily. 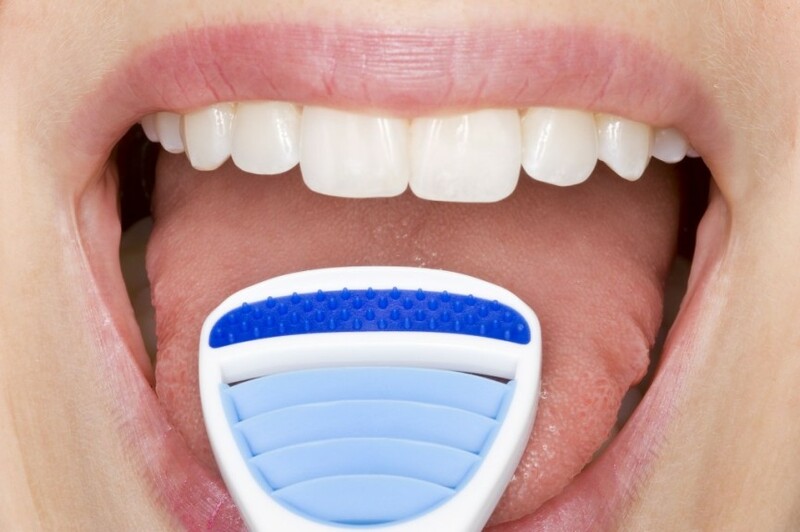 Use a tongue scraper for a thorough cleaning. This tool is usually made of soft, flexible plastic, sometimes metal. It gently peels the thin mucus-based layer of debris from your tongue. You should scrape from the back of your tongue to the front. Rinse the scraper after each swipe of the tongue. You can get a tongue scraper here at McOmie Family Dentistry or you may be able to find one at a local drug store. Check out this fun video on bad breath! Tons of great information.Our patients rock! If you want to learn even more about how to take care of your mouth we offer informative oral hygiene instruction at our Chattanooga, TN office. Call us today 423-899-1112.